When I won Waiting For Callback by Perdita and Honor Cargill in a Goodreads Giveaway, I kinda knew from the blurb that I would enjoy it. What I didn't know was how much I would absolutely love it. Waiting For Callback is wickedly funny and awkward and I couldn't put it down. When Elektra is discovered by an acting agent, she imagines Oscar glory can't be far away, but instead lurches from one cringe-worthy moment to the next! Just how many times can you be rejected for the part of 'Dead Girl Number Three' without losing hope? And who knew that actors were actually supposed to be multi-lingual, play seven instruments and be trained in a variety of circus skills? Off-stage things aren't going well either - she's fallen out with her best friend, remains firmly in the friend-zone with her crush and her parents are driving her crazy. One way or another, Elektra's life is now spent waiting for the phone to ring - waiting for callback. Can an average girl-next-door like Elektra really make it in the world of luvvies and starlets? 5 Words: Acting, school friendship, family, pressure. When's the next one out? Because I need it now. This book was so refreshingly funny. I've lost count of the amount of times I laughed out loud or snorted tea out of my nose (painful) or read passages out to my other half. This book is hilarious. But it's more than just funny. 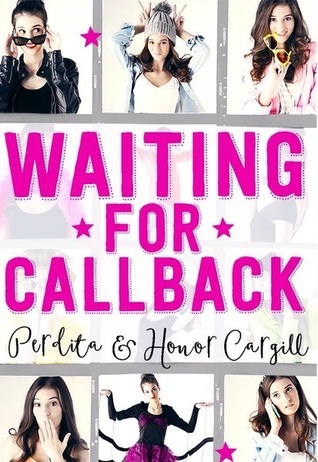 Waiting for Callback tackles some pretty serious issues like friendship and bullying and first love and self-esteem and dreams and disappointment and school and family. And it does so wonderfully. 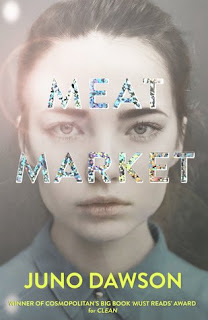 The book is fantastically well written and honest, the characters are so believable and real, and I found it impossible to put down. I laughed and I cried as I read, and I absolutely loved Elektra. This is one of the funniest books I've read and reread. It makes me laugh out loud and cackle on the bus and snort in public. I can't stop myself from reading parts out loud. I couldn't put this book down. What's your favourite funny book?